Students at Barker College designing their robot using the FIRST Robotics Competition Kit of Parts. 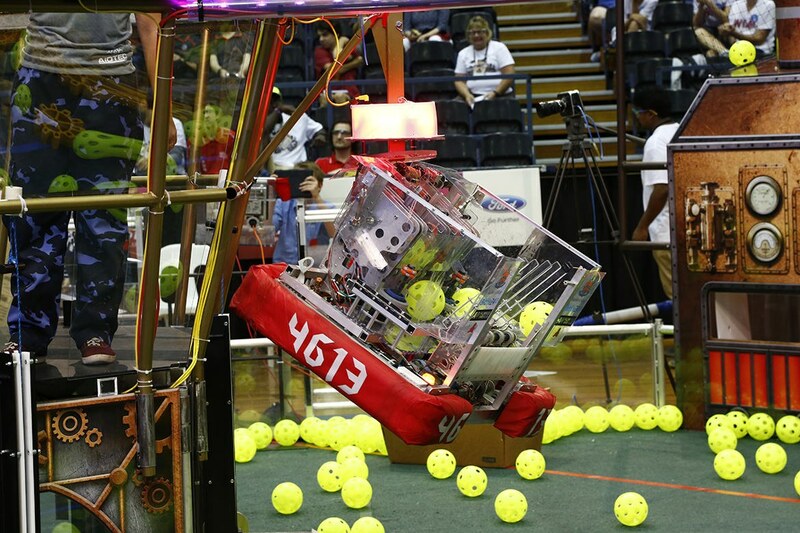 During a six-week timeframe in the lead up to the inaugural Australia Regional FIRST® (For Inspiration and Recognition of Science and Technology) Robotics Competition (FRC®), high school students around Australia have been working with volunteer professional engineering mentors to design a robot that solves a problem using a Kit of Parts and a standard set of rules. AARNet staff have been mentoring students at Barker College in Sydney’s North and also sharing expertise with fellow mentors at Curtin University and student teams across Australia using the AARNet Zoom Conferencing platform. The original robots created by these teams of young inventors are now ready to compete in the Australian regional competition to be held at Sydney Olympic Sports Centre 12-14 March 2015. The competition will measure the effectiveness of each robot, the power of collaboration, and the determination of students. This year’s game is RECYCLE RUSHSM, a recycling-themed game played by two Alliances of three robots each. Robots score points by stacking totes on scoring platforms, capping those stacks with recycling containers, and properly disposing of pool noodles, representing litter. The public is encouraged to attend, catch the excitement of this intense competition, and cheer on their favourite teams. Admission is free.